Overview : Kamani Auditorium was inaugurated on the 22nd of August 1971 by President of India Sh. V.V. Giri. Spread over a vast area in the heart of the capital's cultural arena and with seating capacity of 632 people, the auditorium is on an impressive structure. 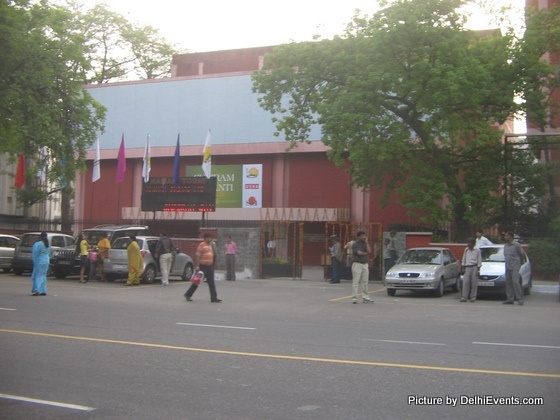 A prominent part of the complex is the SHRIRAM BHARATIYA KALA KENDRA, one of the premier cultural institutions of INDIA. The outstanding feature of the auditorium is the stage. With a 48 feet depth and a 40 feet opening frontage, it is large by any standards and ideal for all kinds of presentations, ranging from plays, ballets, to group and solo performances. Cafetaria : There is also a cafetaria at the first floor outside the auditorium gates for refreshments. That might be a private event.